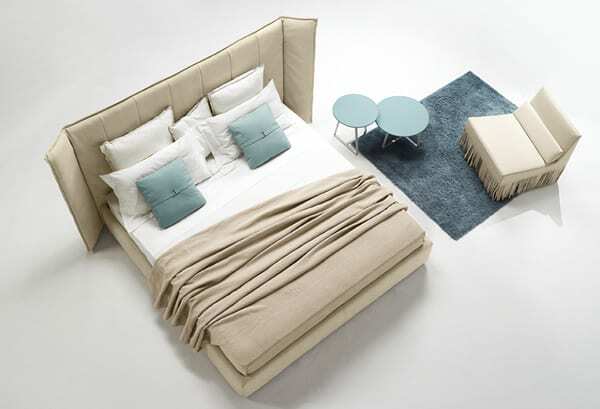 The spectacular Wind Night bed from Gamma is just what you need to make your bedroom the place of your dreams. It has a tall and tufted leather headboard with 2 wings on each side. The wings give the bed the appearance of a contemporary wingback chair. 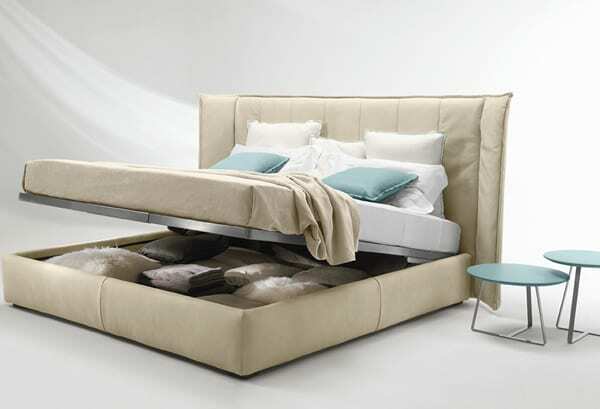 The large headboard is enhanced by the beautiful platform which is entirely covered in Italian top grain leather. If you are tired of settling for less in your bedroom, get the Wind Night Bed from Gamma. It is nothing short of stunning and is one of the best options for stylish sleeping. It comes in a variety of colors and leather textures. The luxury bed is available in king and queen sizes and makes a perfect match for any modern bedroom. Underneath the mattress, there is ample storage space for your pillows and bed linens. Small legs flank the bottom further adding to the bed’s contemporary look. It boasts quality craftsmanship and is very comfortable to sleep on. When you are awake, you’ll appreciate its sleek modern look. The furniture in your bedroom should define your style and reflect your personality. If you want a bed that will amaze your friends, get the Wind Night Bed. While its pillows and mattress will make you extra comfortable, its luxurious headboard will give your bedroom enduring style. With a cultivated, casual, and modern look, it ties a bedroom together with the perfect touch. What is the first thing that draws your eyes to the Wind Night bed?